S’mores pies, waffle cakes and so much more! 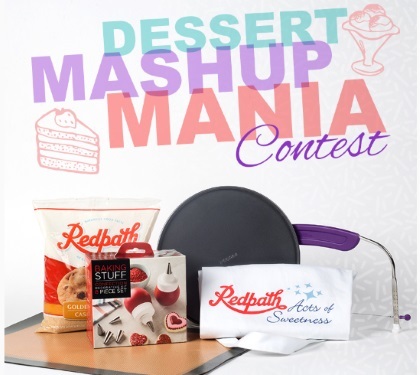 Now is your chance to win a whole host of accessories from Redpath to make your next dessert mashup a success. A decoration set, a cake pan, a leveller and so much more! The Winner will receive (1) Baking Stuff Confection and Decoration Set (8 Pieces) (ARV $14.99), one (1) Amazon Basics Silicone Baking Mat Pack (ARV $17.99), one (1) Pedrini Springform Cake Pan (ARV $26.02), Wilton Cake Leveler (ARV $13.19) and one (1) AOS Prize Pack (ARV $10.00). Contest closes May 12, 2017.